I am drawn to stories about geeks. 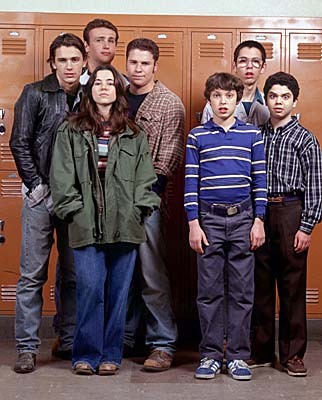 I love geeks in movies. My excitement over Fanboys was serious (Star Wars? Kristen Bell? OMG, it was like I'd ordered up a movie just to suit me and someone made it) and I was pretty psyched for Scott Pilgrim Vs. The World (which should have been titled Scott Pilgrim Vs. The Giant Letdown, just because Michael Cera's character, despite being a geek, was a misogynist prick. That ain't redeemable). 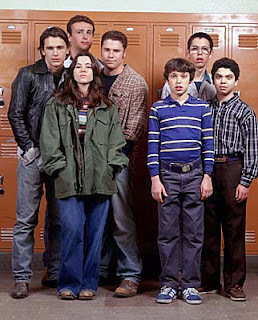 The best ever example of geeks, for me, was the fantastic television show Freaks and Geeks, which I can't recommend highly enough, and actually need to go watch again right now having thought of it. But I especially love geeks in fiction. Or want to, anyway. I rarely find books about geeks - especially girl geeks - that read true to life. Far more often, it seems that the writer tells us a character is a geek, makes him or her strong at academics, and maybe puts them in ill-fitting clothes and ugly shoes. Aaand that's it. Now this is where I have to make a confession. I am a pretty big geek. Over the years, I've learned to pass for normal. I married another geek who passes for normal, and in fact, I was so deep in hiding that, while MJ loves my dork side, he didn't even know I read comic books until we were married. But I read every Star Wars novel published up until 2003, I have a rock collection, and I went to Geek U. (seriously, you would not believe the things I saw at my college) where I minored in Physics and crushed on a boy who wore a periodic table of the elements t-shirt. Obsessive interest in one subject or more. Probably a subject most other people are not interested in, but regardless of whether it's generally considered interesting or not, their level of knowledge is Not Normal. Some degree of dissatisfaction with the world as it is - and a response of seeking out some type of escapism. Disregard of some social norm. Yeah, you've got the serious geeks who wear their homemade chain mail to class (I went to school with multiple people who did this) and who can't make eye contact, and then you have the cool geeks who are just slightly quirky. But you're not a geek unless you sometimes slip up and talk too much about something you find interesting, only to realize you are being stared at blankly because no on else cares about the physics of A Wrinkle In Time , or linger over geeky t-shirts you know you shouldn't wear in public, or something. Something that says This Girl Over Here? Not Quite Normal. For the record, it's not like MJ and I have matching Unobtanium t-shirts or anything. Also, I'm beginning to realize I may have overthought this. Sorry, but that's sort of what I do. And I want to know, why the absence of the geek? Are they too hard for the average reader to relate to? Because I think, while not everyone will bounce up and down with excitement when someone makes a math joke or a Star Trek reference, we can all relate to feeling a bit socially awkward or out of place in this world. 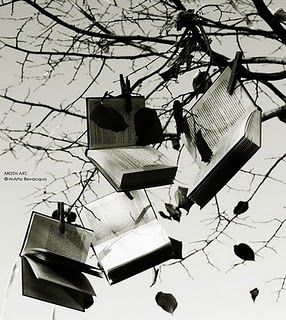 Anyone have any book recs to prove me wrong in my analysis of a lack of geekery in modern fiction? I'm just doing two challenges this year, in keeping with my resolution to simplify (I still hate you, Thoreau, even if I sometimes take your advice). The writing challenge: Write 1, Sub 1. For short fiction writers, this is such a fun idea. You write a short story and submit a short story to a journal or 'zine every week (or every month, if you go for the lite version). Why yes, it is a little nuts. But so far, I've written two stories and sent out half-a-dozen, and I'm excited to see what the rest of the year brings - it's cool to think that at the end of '11, I'll have over 50 new stories written and 50 (let's just say it) rejections or acceptances. It's not too late to join up - I'd love to know if anyone else is doing W1S1! The reading challenge: 2011 Debut Authors. As much as I love to read, this challenge is special in particular. I love the idea of supporting debut authors - and discovering new authors that I'll continue to read. And, in other news, I'm going to run another marathon this year. To help counterbalance all that time I spend sitting at my computer, banging at the keys, creating stories and eating M&Ms. What crazy (awesome) things are y'all up to in 2011? MJ gave me a Kindle for Christmas, something he's already claiming was a mistake, since all I want to do is read (and play the free word games I downloaded - don't tell him that though). I finished The Vespertine by Saundra Mitchell last night (releasing March 7, 2011). It has a beautiful cover, but the story is beautiful too. I woke in Oak Haven, utterly ruined. Wow. There's a promie there that makes me want to read on. But what follows are some fevered, discombobulating paragraphs. The narrator, Amelia, is pretty much nuts and locked away in a bedroom, and while her madness comes through clearly, for me it wasn't the most engaging beginning. But I read on, and once Lizzie, her sister-in-law, enters the picture to let Amelia loose, I was hooked. Sweet, spirited and wise, Lizzie is a well-developed secondary character, even though she's only in a few chapers. I enjoyed Saunders' skillful characterization and dialogue, and found myself caring for the fate of not just Amelia and Nathaniel, but for Zora and her friends and cousins. Most of the story is set in 19th century Baltimore, and I thought it felt well-researched and evocative; it was interesting to see through Amelia's eyes. And, no matter how lovesick they are, Amelia and Zora have a strong friendship (cemented with clever and enjoyable dialogue), which is something I really love seeing in YA. Or anywhere. The friendships of women are just as important as our loves. Definitely, I recommend The Vespertine if you like YA historical or YA paranormal romance; as if you couldn't tell I was recommending this one to read in 2011. Loved it!